It was the last working week of the year, that few forgotten days tucked away between Christmas and the New Year. Driving that morning was a surreal experience, with the roads devoid of cars despite them running on their ridiculously priced COEs. Everything seemed to move slower, in a more relaxed manner. 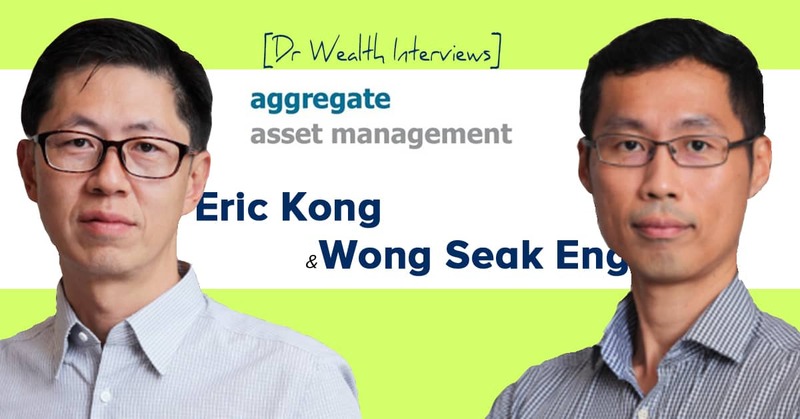 The surreality factor went up a notch when Alvin and myself found ourselves in an industrial building, seated across the table with Eric Kong and Wong Seak Eng, two gentlemen who founded and now run the Aggregate Value Fund. In place of the customary IWC watches and cuff links-that-cost-more-than-my-monthly-income so fancied by bankers and fund managers, they had on themselves sedate Casios and casual checked shirts that is more High Street than Wall Street. And instead of regaling us with fancy mission statements and sleek sales pitches about what their fund could do, what we got was interesting, personable conversation and good old fashioned investing advice. We could not have asked for a better way to spend the morning. We started off by asking Eric how he got started in the industry. Aggregate Value Fund is a long only value fund investing in Asia companies. 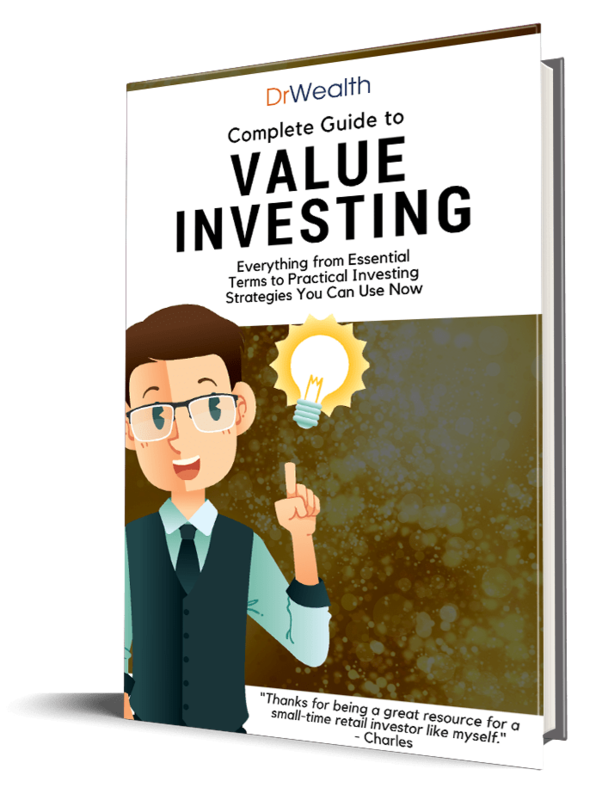 By using quantitative screening to select low PE, low price to growth, low price to cash flow and high dividend yielding stocks, Aggregate is able to filter out the best and subsequently qualitatively study them. Unlike the orthodox school of value investing which preaches being focused and buying only five or eight best stocks, the fund is vested in more than 100 stocks from around the region. Each stock makes up at most 2% of the portfolio, with the norm being half to one percent. In addition, the fund is not only diversified in terms of the number of stocks, they are also well balanced over geographical regions and industries. However, small caps form the majority of Aggregate’s holdings. Eric explains. “When you screen for value, you will end up with mostly small and mid caps. When they are big caps, most of the time something has happened, perhaps bad news. How we avoid value trap is that we pay attention to the history of the company, the balance sheet, financial strength. That would be the qualitative aspect. Having said that, sometimes the big caps will come and we are not averse to buying them.” EK. No discussion on value investing would be complete without a mention of Benjamin Graham and Warren Buffet. The influence of both men on the thought processes and the approach towards investing of all in the room is undeniable. While credit goes to himself for constantly reinventing himself as a investor, as a business owner and an astute business person, we all agree that Warren Buffet has grown too big to be playing the game he started off with. The billions he has to constantly juggle has priced him out of seeking value in small and mid caps, and he now has to purchase chunks of mega big corporations to utilize his capital. Many have tried to replicate his investing methods but failed to generate his kind of returns. “I thought I was Warren Buffet before. I was fortunate to realize early that I am not and cannot be him. No one can be him.” EK. We also discussed something that is very close to our hearts, the Permanent Portfolio. While the results of creating a Permanent Portfolio and instituting a Value Investing regime will take years to become apparent, they both propagate slow and steady returns over time. Because PP comprises of equities, bonds, gold and cash in equal portions, at any one time each asset class would balance out the volatility in the others and hence, historically the maximum drawdown one could possibly expect would be significantly lesser than a portfolio consisting pure equities. However, the trade off is PP might perform a tad worse and lag behind a well executed value investing strategy. While our concern is that value investors will eventually succumb to the human psych and sell out at the lowest to stop the pain, Eric and Seak Eng believes in overcoming that and the additional gain compounded over time will make a world of difference to the final portfolio results. “On the day where there is a 40% drawdown, take the train to Raffles Place and look at everyone working. They are all adding to the balance sheet of your company, all adding to your wealth. The drama (market losing 40% value) is but your imagination.” EK. “Embrace drawdowns. People fail to realize and do it but it is a good time to buy shares and add to your positions” WSE. It is apparent that the founders of Aggregate believe that ‘time in the market’ is much more critical than ‘timing the market’. In their typical grounded fashion, they shared with us why they do not try to predict and time market corrections. A fund that proclaims to charge no management fees and no sales charges sounds almost too good to be true. Even more so when the fund aims to achieve returns through value investing, examining the fundamentals of each company and adding the strongest and most undervalued ones to its portfolio, with the conviction that market participants will eventually value the companies rightly. The long gestation period could see the fund not performing for years and the fund managers drawing no income for a long time. Eric explains frankly that while this model allows a new relatively new setup like Aggregate to attract new clients, deep down they also recognize that the current pricing model operated by funds is fundamentally flawed, as it allows managers to be paid regardless of how the portfolio performs. They recognize that one cannot time the market but rather need to let the cycle take its course, and during lean years, and it is only right that the managers have their skin in the game together with their clients. We asked about the challenges they are facing and Eric explains. “For us, investing the money was never the issue. We have been doing it and achieving that kind of returns for years. The biggest issue we have is in growing the business. Because in this business, investors often screw themselves by buying during the high and selling out during the low. By doing that, they will never hit 15%. For our investors, there is no doubt this kind of returns could be achieved if you stay in the game and continually invest.” EK. Like two kids who have found the key to the candy store and cannot wait to share their fun(d) with the rest of the world, Eric and Seak Eng ask only for patience from their investors to ride with them through market cycles and allow them time to deliver. In an industry dominated by more form than substance, more greed than morality, we are gratified to see the reverse manifested in Aggregate’s founders. BigFatPurse wishes them all the best in their journey to grow Aggregate Value Fund into a powerhouse value investing fund for the retail investors. For more information on Aggregate Asset Management, do visit www.aggregate.com.sg. Check out their interesting FAQ. We love it! This is a another good article. I see you not only interview great traders, you interview great fund managers from the school of value investing as well. I am sure you will become a great investor one day after learning different kinds of Kung-Fu from different Masters.